This is one of those rare moments that I get invited to a food trip, and not the other way around. I'm grateful for friends who share my love for adventure. 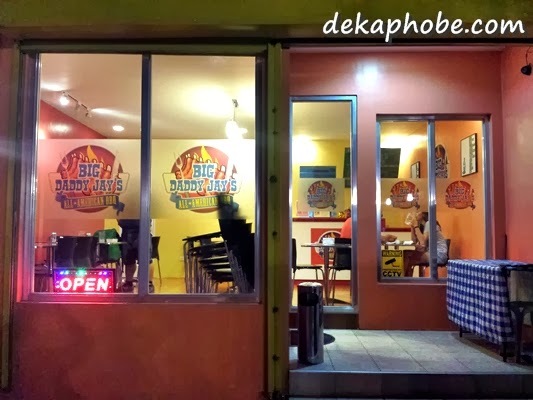 I have been curious with Big Daddy Jay's after reading positive feedback from fellow foodies. The place is a few meters away from Araneta Center, right across a gas station. The place is quite small with less than 10 tables. Right outside is a smoker and griller, signs that we're in the right place. The menu is quite straightforward, with a few items to accompany the star, the Original Smoked Ribs. We were about to order a Half Slab (Php 450), but my friend thought that it wouldn't be enough for 3 hungry human beings, so we changed our minds and went Full Rack (Php 880). There's a waiting time for the ribs so it would be better to order sides while the ribs are grilling. We ordered a serving of Honey Mustard Chicken Wings (Php 150), which came as a surprise. They actually used real mustard and honey. I could eat an entire order, but I must have tummy space for the ribs. We also ordered all the Down-home Sides: Buttered Rice (Php 25), Mixed Veggies (Php 35), Herbed Baby Potatoes (Php 35) and Grilled Corn-on-the-Cob (Php 35). The ribs was very tender, with its juices coming out when you try to slice it. In emphasis, the meat almost melts in your mouth, the flavor exudes with every bite. I was wrong when I thought we wouldn't be able to finish a full rack. It was definitely worth the tummy bulge. 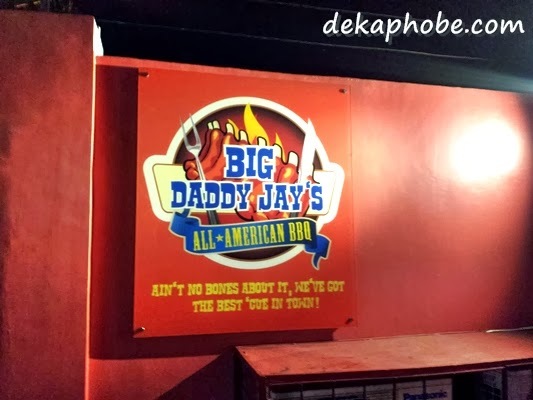 I was exhilarated that I was able to try Big Daddy Jay's famous ribs. Should I go back for more? HELL YES! One full rack please! One full rack coming up! haha you just need to get past the "burnt" exterior though.